Deliver your message with persuasive copy and stunning imagery. 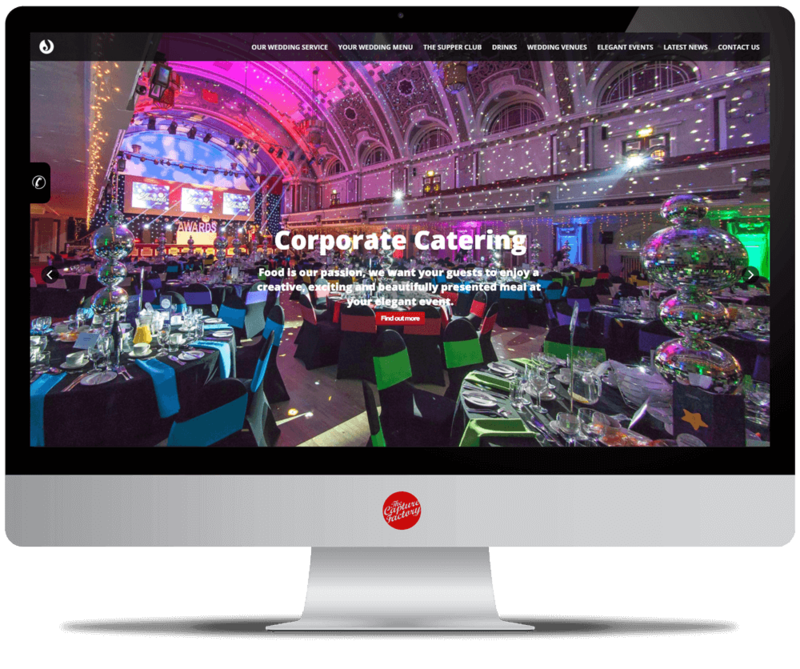 Make a great first impression with awesome images that make your website stand out from the crowd. We offer a full suite of visionary design services that will bring your ideas to life. Your website can look amazing and function beautifully; but to make it enticing to prospective customers, as well as useful for existing customers and visible to Google, you need great words. Our experienced copywriter will work with you to gain an understanding of the finer points of your business, and help you define your ‘big idea’. Whether you’re selling tangible goods, services, a lifestyle or an aspiration, getting your message across clearly, quickly and in an enticing manner is key. Our e-brochures are designed to reflect your corporate branding, answer your customer’s questions, and encourage further interaction with your business. 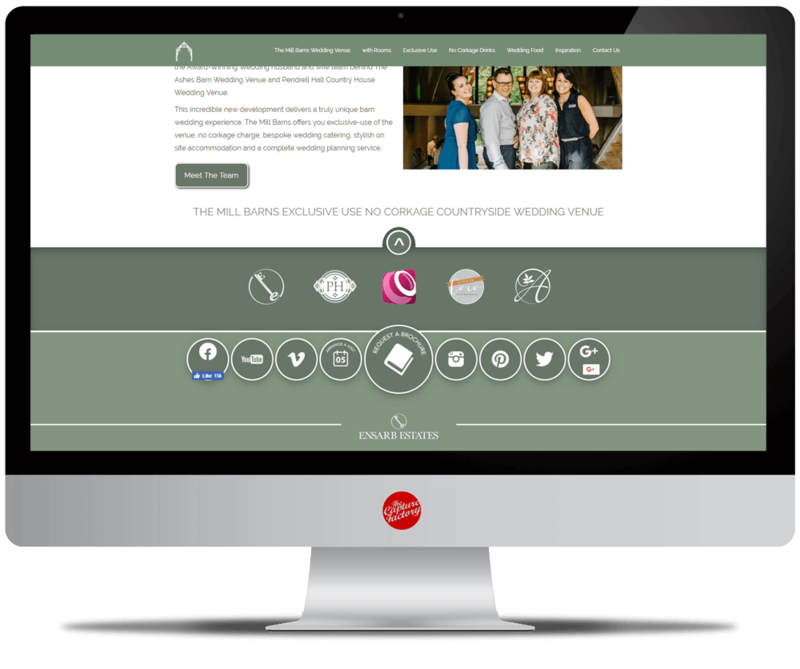 Using your website content creation to grab customers’ attention, you can then entice them into requesting an online e-brochure for further, more detailed information. These brochures are a great way to build a database of prospective clients that you can build upon. Contemporary design, persuasive writing and arresting imagery are skillfully combined to produce an effective sales brochure which can be easily downloaded from your website, or emailed directly to customers. 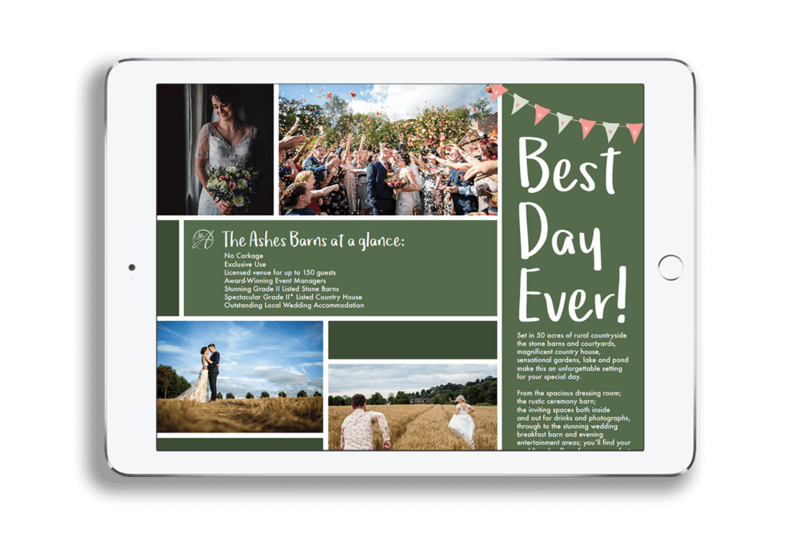 Have a look at our e-brochure we designed for The Ashes Barns Wedding Venue.